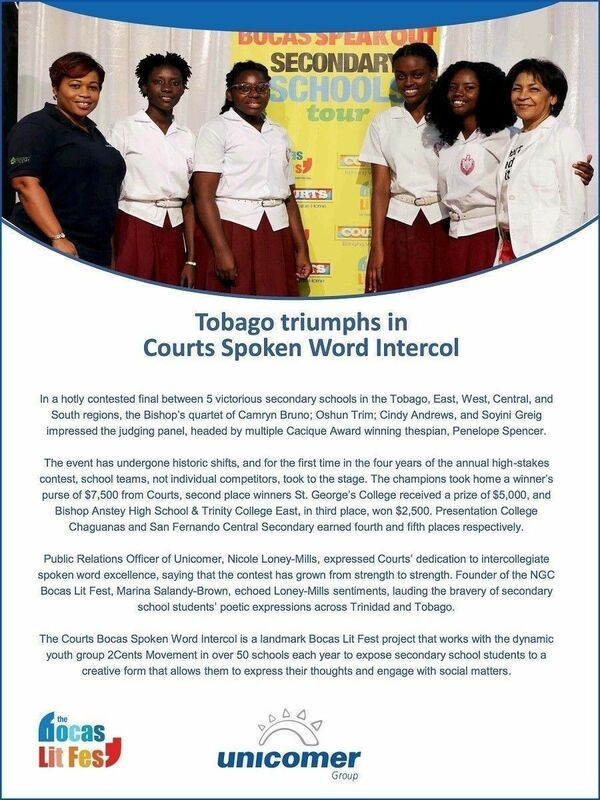 Tobago Triumphs at the Courts Bocas Spoken Word Event. 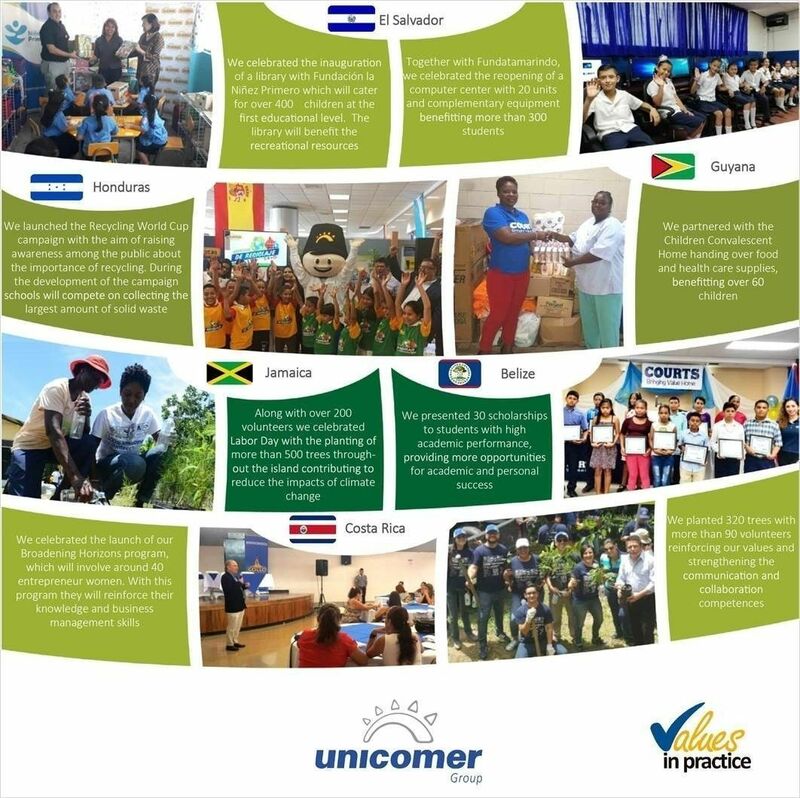 UNICOMER Group believes in a Better World. 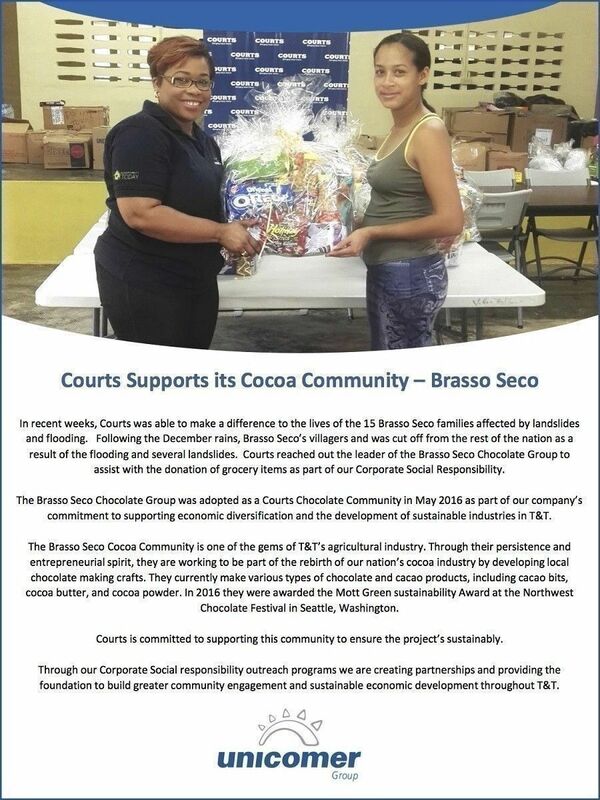 COURTS CONTINUES ITS COCOA COMMUNITY PROJECT WITH BICHE & CUSHE. 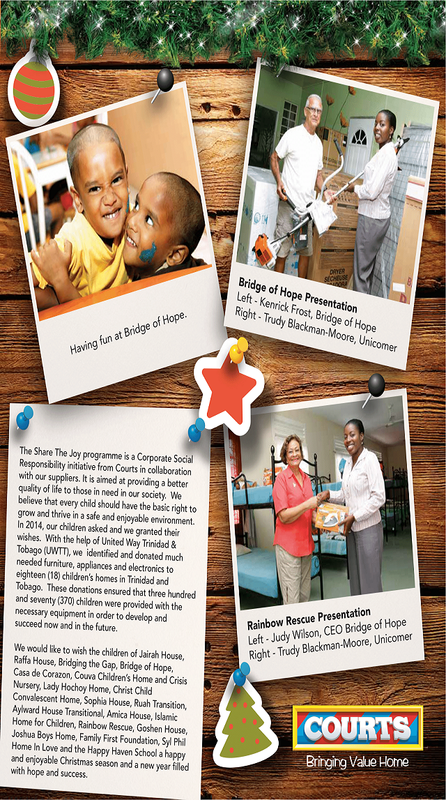 Courts welcomes the newest Chocolate Community Company in Trinidad. 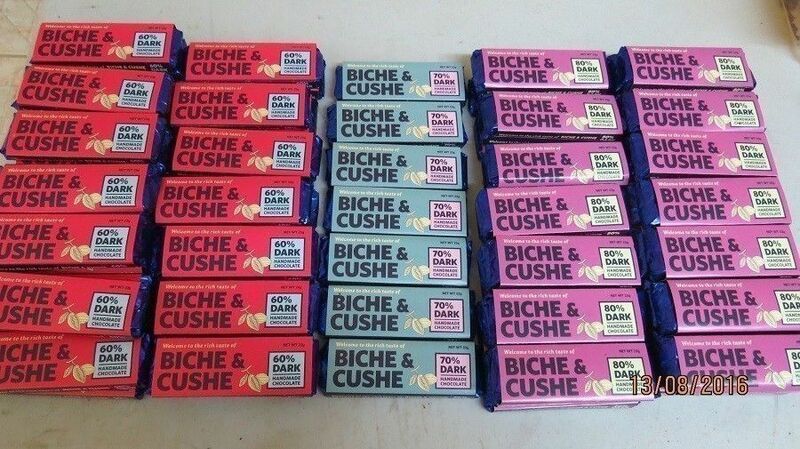 With just three months of intense training we are pleased to welcome the community of Biche and Cushe onto the market. 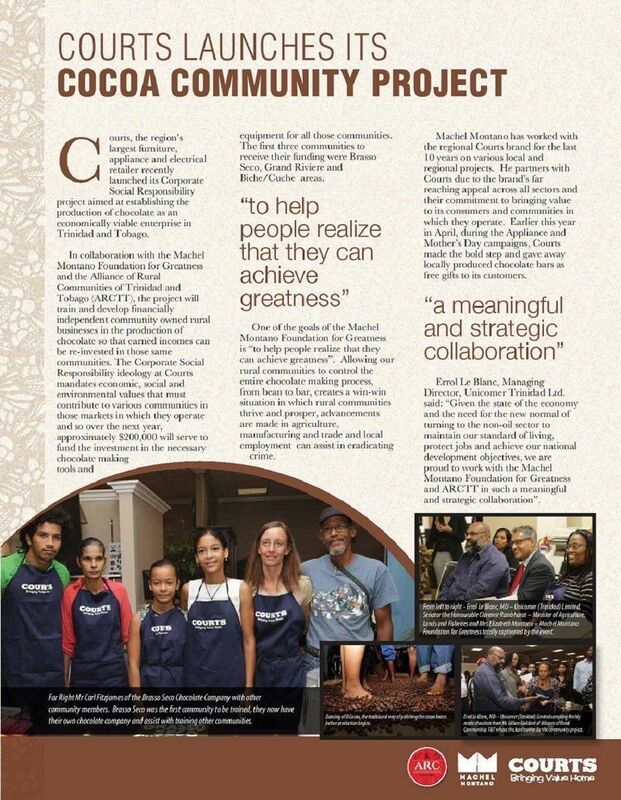 We are proud they are products of the Courts Cocoa Community Project which is done in collaboration with the Alliance of Rural Communities T&T and the Machel Montano Foundation for Greatness. 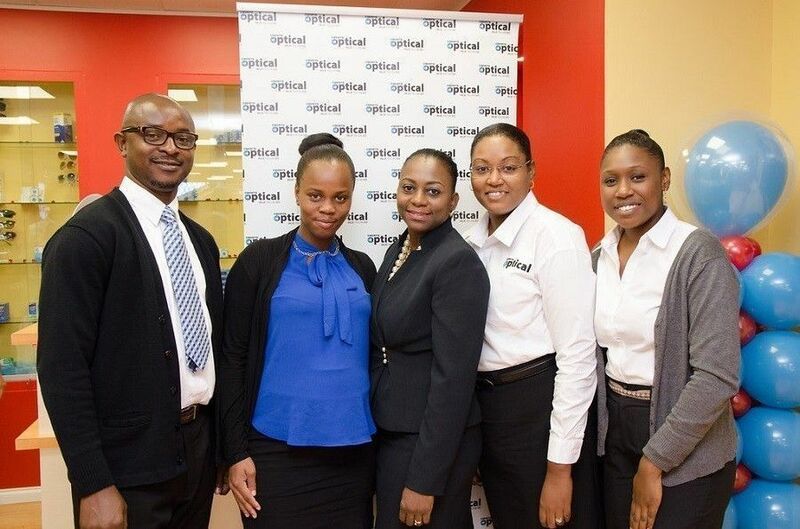 COURTS OPTICAL POINT FORTIN IS OFFICIALLY OPEN! The 11th Courts Optical Branch in Trinidad and Tobago, officially opened its doors to the Borough of Point Fortin onTuesday 23rd August 2016. In his address to those in attendance Director Consumer Finance Devon Romero stated "We are here to offer the residents of Point Fortin and surrounding communities a World Class Optical facility. We all know it is important to add value or to give back and when we think of sons of the soil or communities giving back, “Point” has certainly done its part. Stacy Homer, Director Human Capital, Elson James, Regional Director, were members of the Executive Management Team also in attendance at the Opening Ceremony. Ten residents of the Helena Home for Senior Citizens were invited to the Opening Ceremony, and were each treated to free eye testing as well as complimentary eye wear. 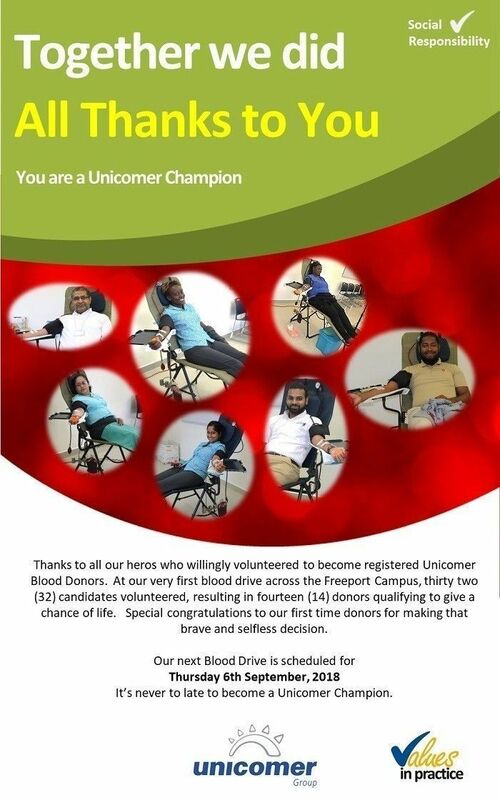 This incentive is part of the Big Hearts initiative, one of Unicomer’s Corporate Social Responsibility projects for the 2016-2017 calendar year. 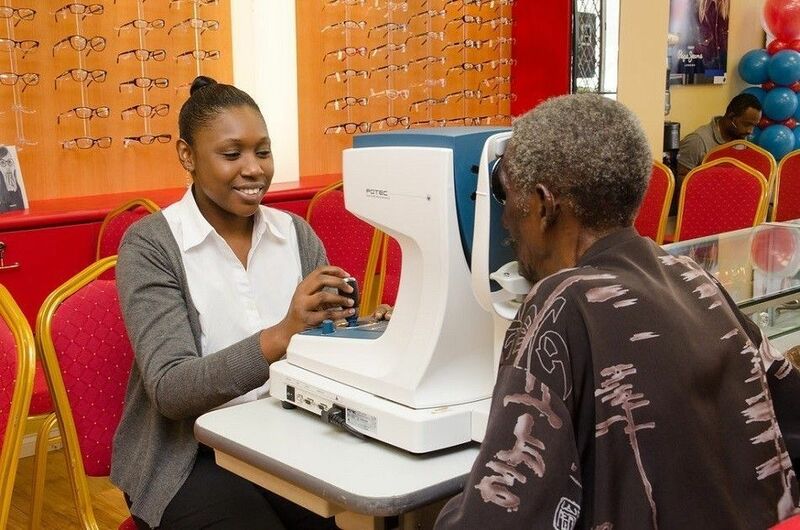 The newly outfitted Optical Outlet will provide a range of products and services from Spectacles, Sunglasses, Contact Lenses, Eye Examinations, Vision Screening, Glaucoma Screening, Eye Pressure testing and Eye Health Checkups. Customers will also have access to the cadre of trained practitioners who provide world class quality service. 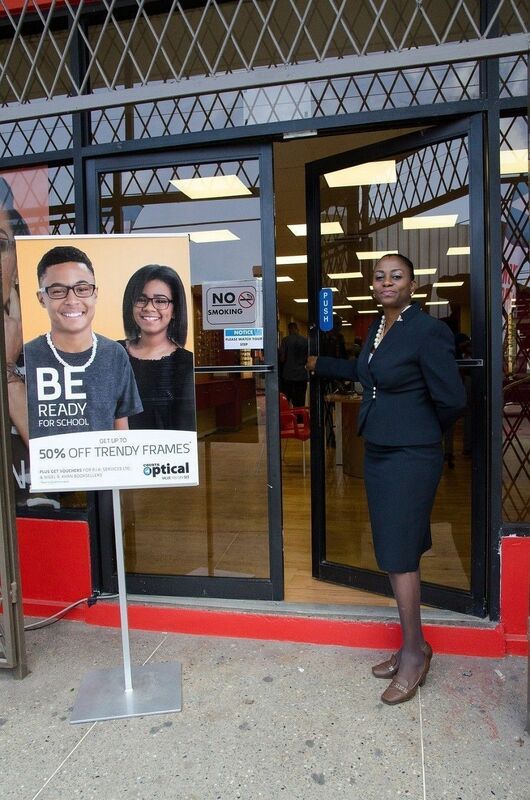 Courts Optical now has the largest optical branch network in Trinidad and Tobago, and is the largest optical provider in the Caribbean region, with 30 branches. It is also the only Optical provider offering credit facilities to its customers with up to 24 months to pay for their eye wear. 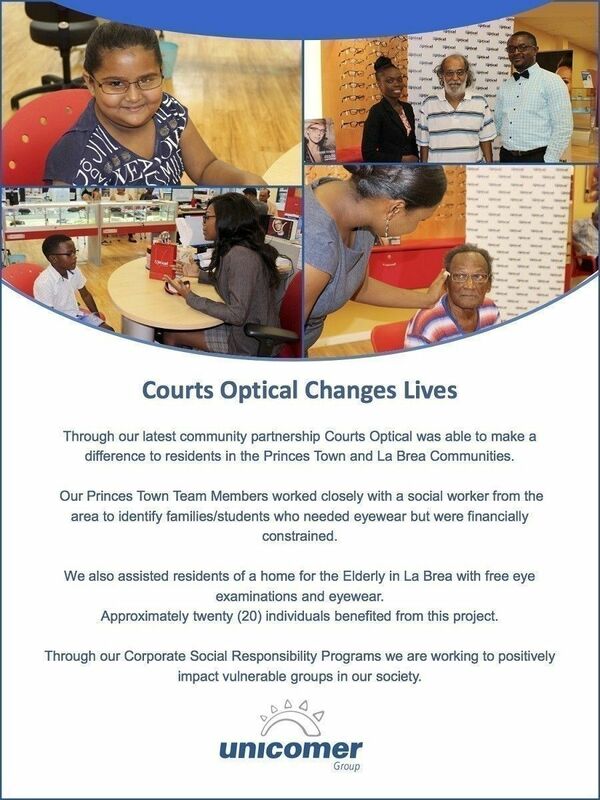 Courts Optical is delighted to serve the people of the Borough of Point Fortin and its surrounding communities, and looks forward to the Borough’s continued support. COURTS IS BACK WITH CALEDONIA AIA FOOTBALL CLUB! 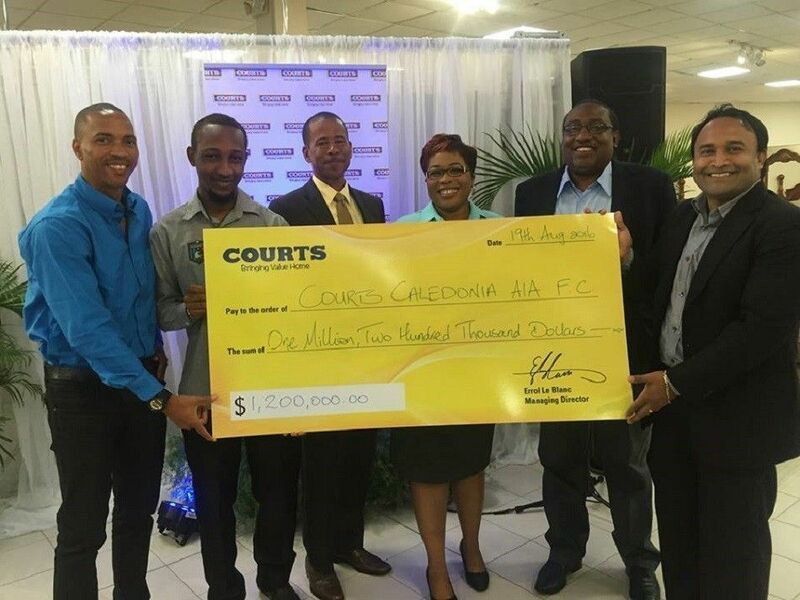 Courts has re-established its partnership with the Caledonia AIA Football Club of the Morvant Community. The company has invested just over TT$1.2 million over the next three years of this partnership. We are very excited to re-establish our investment in this group which is not only established in Trinidad and Tobago but is heavily involved in football activities regionally. CELEBRATING THE SUCCESS OF OUR FUTURE. 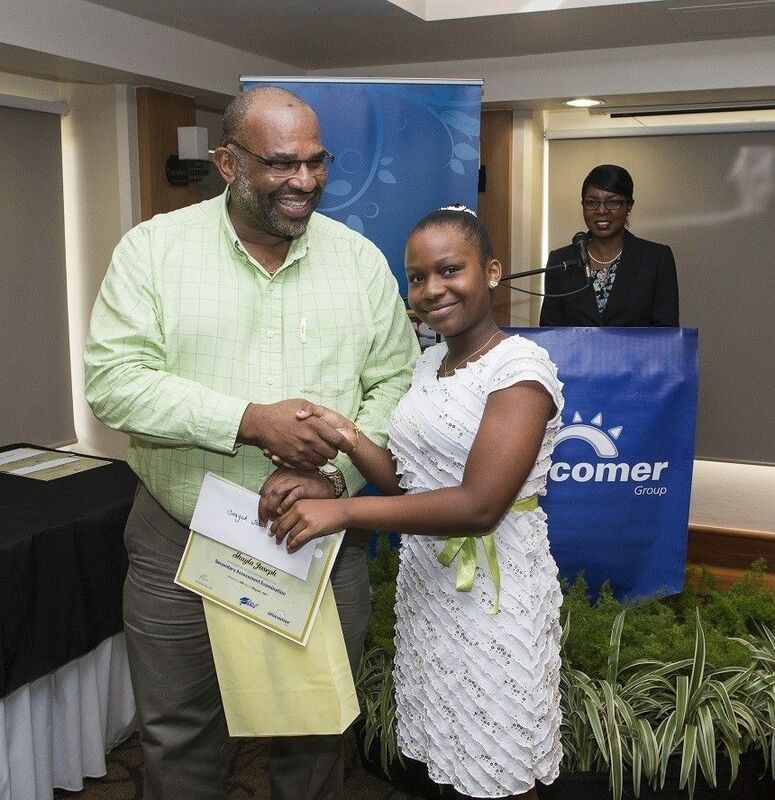 UNICOMER (Trinidad) Limited once again honoured the children of employees who excelled in this year’s Secondary Entrance Examination (SEA). This event was hosted on Friday 22nd July, 2016 at the Kapok Hotel. All students were presented with certificates and tokens for their outstanding achievements. 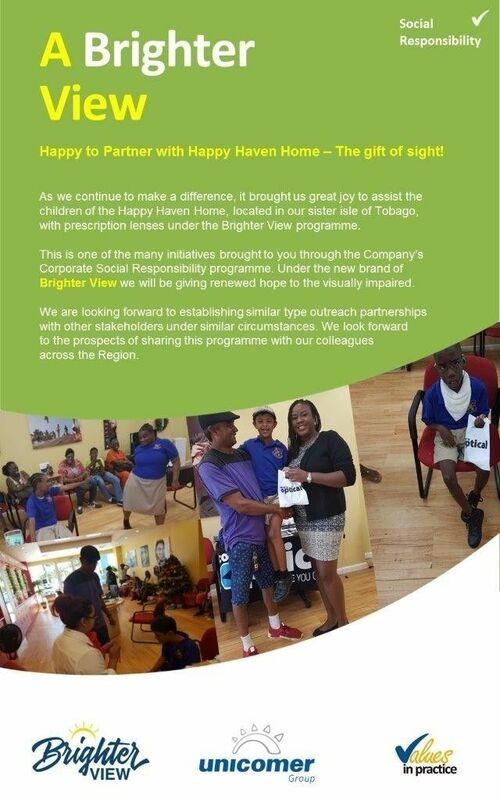 The audience was addressed by our Executive Team comprising of Mr Clive Fletcher – Managing Director, Mrs Phylis Parsanlal Smith – President, Courts Sports and Cultural Club and host for the afternoon Mr Garth Baptiste, Director Properties and Projects. 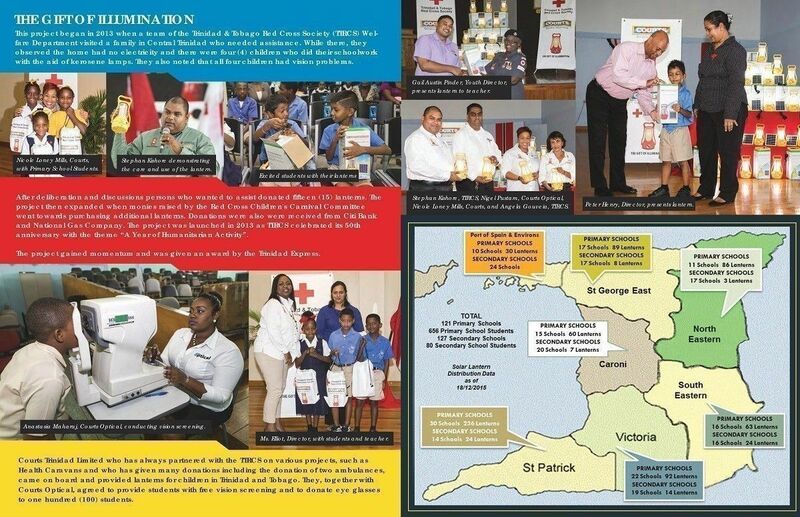 This year’s guest speaker was President of the St James Police Youth Club – Police Officer Derick Sharbodie. Topping off this year’s awards was Miss Krystal Huggins who was accepted into St Joseph Convent, Port of Spain; Ms Jodie Julien was accepted into St. Stephen’s College and Mr Malik Wington who will be attending San Fernando Central Secondary. UNICOMER congratulates and wishes all the students the best as they embark on this new phase of their educational journey. COURTS LAUNCHES THE ANNUAL COURTS T20 INTER CLUB COMMUNITY CRICKET TOURNAMENT. 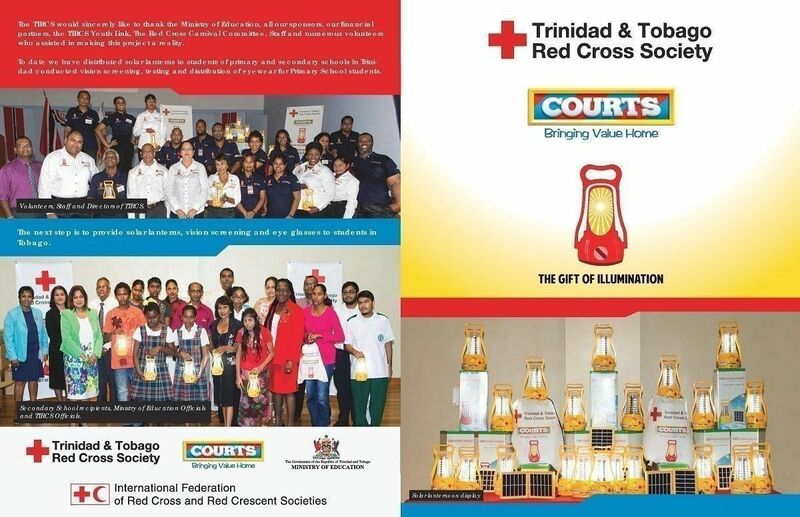 For the fifth consecutive year, Courts has partnered with the Trinidad and Tobago Cricket Board to host the Annual Courts T20 Inter Club Community Cricket Tournament. 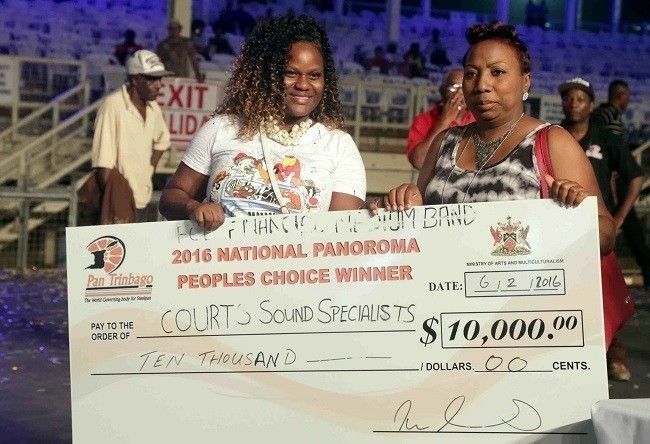 Sixteen teams from various communities throughout Trinidad and Tobago have qualified for the play-offs and are all vying for the top prize of $15,000 and $10,000 respectively. 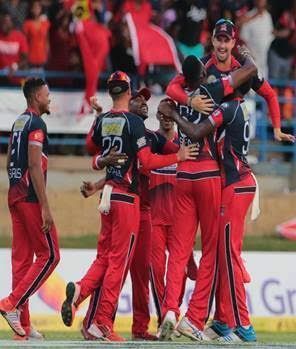 A grand total of $165,000 was handed over to the Trinidad and Tobago Cricket Board for the successful staging of this year’s competition. The grand finals are carded for Saturday 6th August, 2016 at the National Cricket Centre, Couva. Stay tuned for more updates and game fixtures. 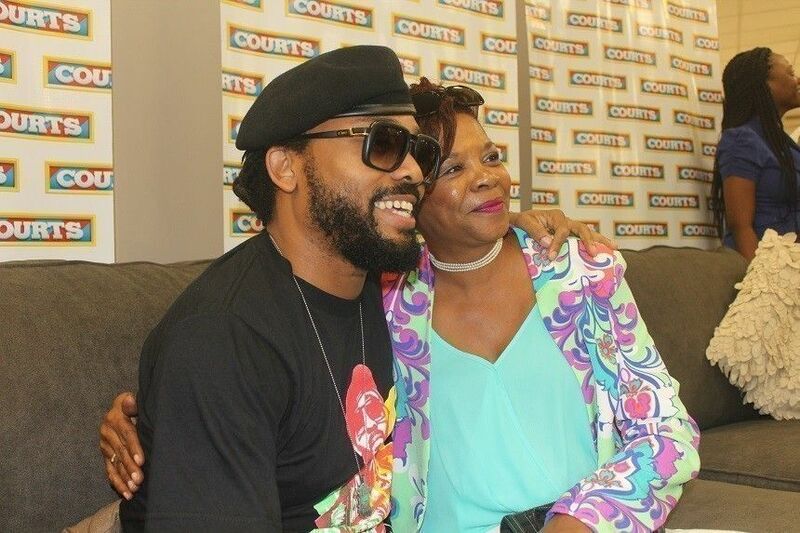 On Monday January 18th, Courts hosted the Monk himself, Machel Montano, at our Bigger, Better, Megastore. This event, called Mega Monday with Machel: Monk Monte, saw Machel Montano joining us at Courts Megastore. The event was initially carded to end at 6pm, however Machel had so much fun with his fans, he stayed until 7! 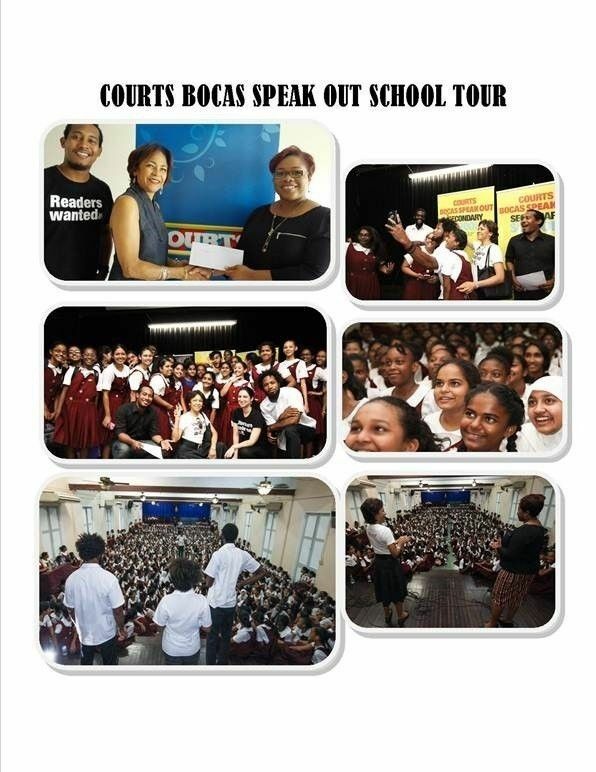 The third Courts Bocas Speak Out Secondary Schools Tour will conclude in mid-November 2015. 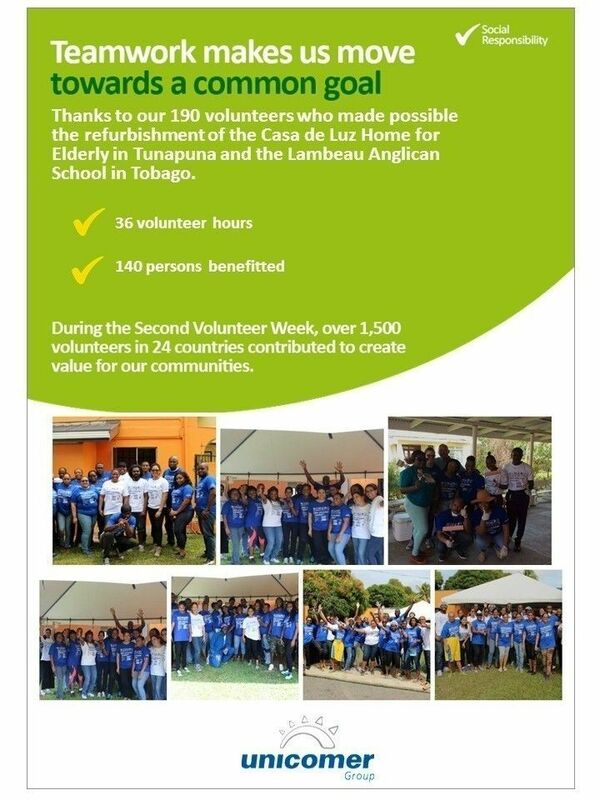 This nationwide secondary schools project has been a singular success and the BOCAS LIT FEST seeks the continued support of Unicomer for this initiative. The Bocas Lit Fest, a non-profit literary organisation, celebrates its fifth year in 2015, but it has already made a significant difference to the cultural landscape of Trinidad and Tobago. Working with adults and young people of all ages, the Bocas Lit Fest has spawned and renewed interest in the literary arts, both locally and regionally. A key objective of its project to promote and spread the literary arts is to also grow, among the young, an appreciation of self-expression and an engagement with society, in order to increase good citizenry, improve participatory democracy, and to develop each person’s potential. Unicomer has been an important partner in this project. 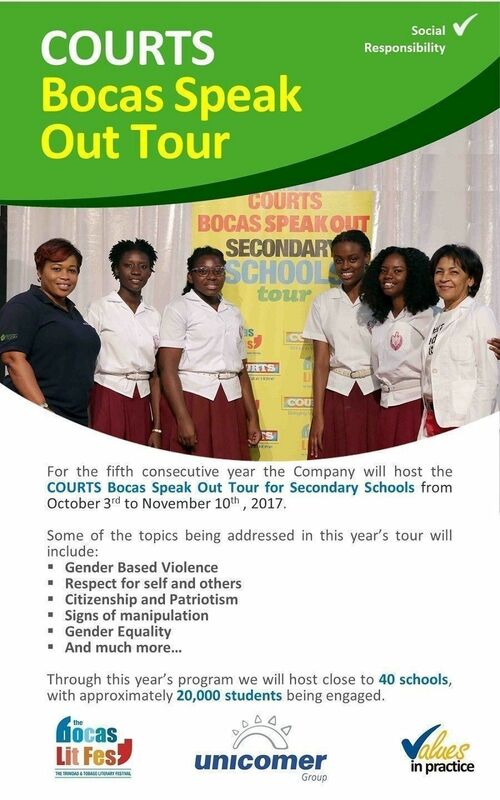 The Courts Bocas Speak Out Secondary Schools Tour continues to be a unique vehicle for reaching teenagers over the last 2 years. To date close to 80,000 students have been part of the audience for this event and approximately 4500 have signed up for the continuing workshops. 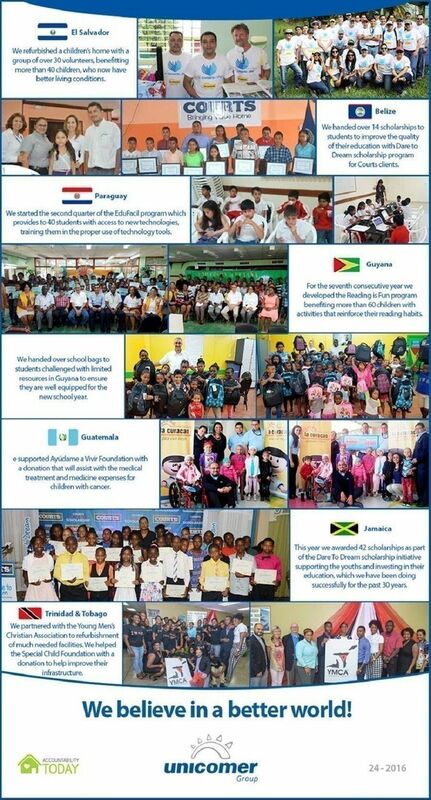 Barataria Anglican Primary School has a vision to be a premiere, high performing, educational institute that unearths and nurture the innate talents and abilities of all their students. They strive to motivate their students to become respectable, productive citizens. 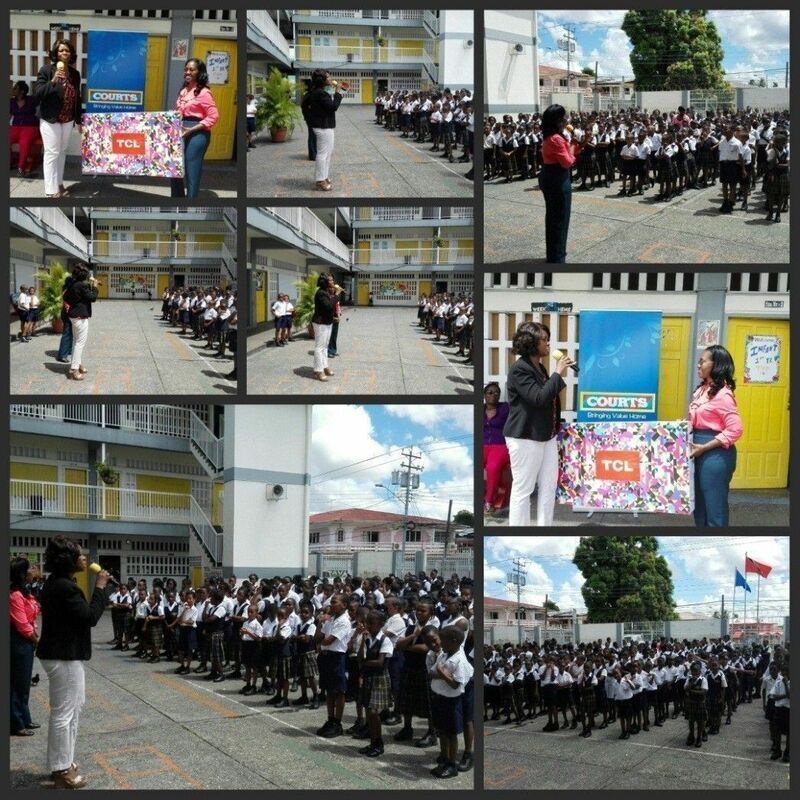 When invited to visit this school, Ms. Nicole Loney-Mills, our Public Relations and Corporate Communications Specialist, witnessed this vision with her very eyes. Initially this establishment reached out to COURTS for one television for their school’s library and one for the senior department of the school. Ms. Mills, on observing the great work the school’s staff and principal has done for them, sometimes of their own doing, felt there was so much more to be given. COURTS rewarded the rapid increase in performance of the school’s students by not just fulfilling their request for televisions but by providing them with 10 Elearnit tablets for use in the institution, 10 Sauder Beginnings 4 shelf bookcases and 1 18CB Ft Whirlpool Refrigerator. 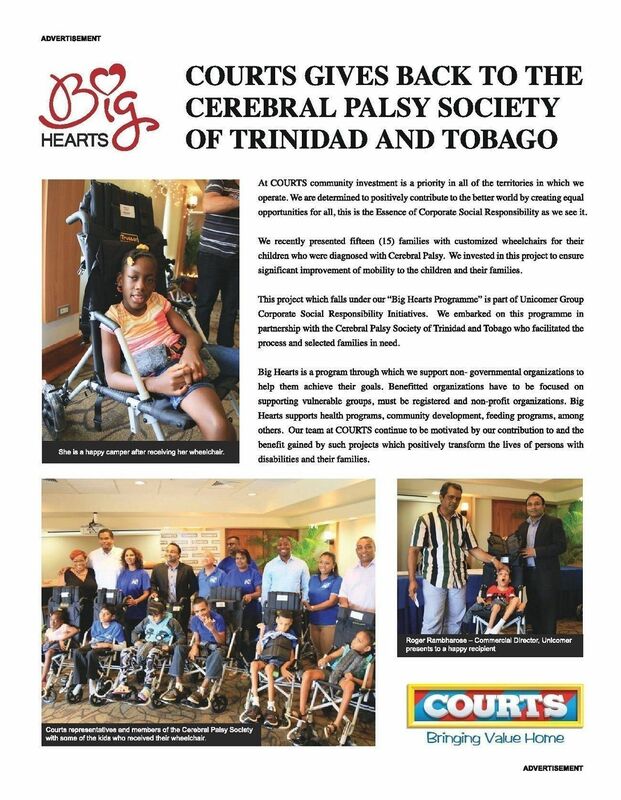 COURTS is always happy to do their part in enriching the lives and experiences of the future. We are pleased to announce the launch of our newest product line at Courts! 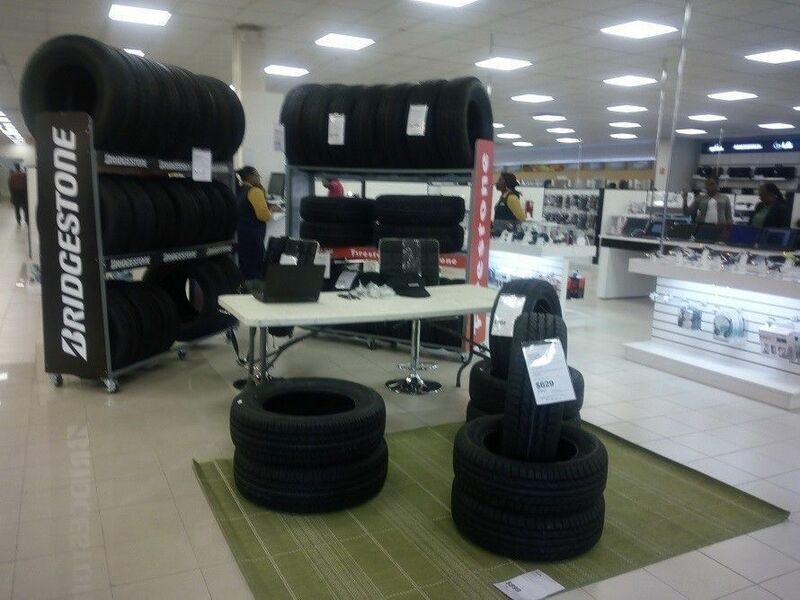 Now you can purchase tyres for your car at Courts Megastore. That’s right, come to Courts Megastore and purchase tyres for your car on cash or credit. 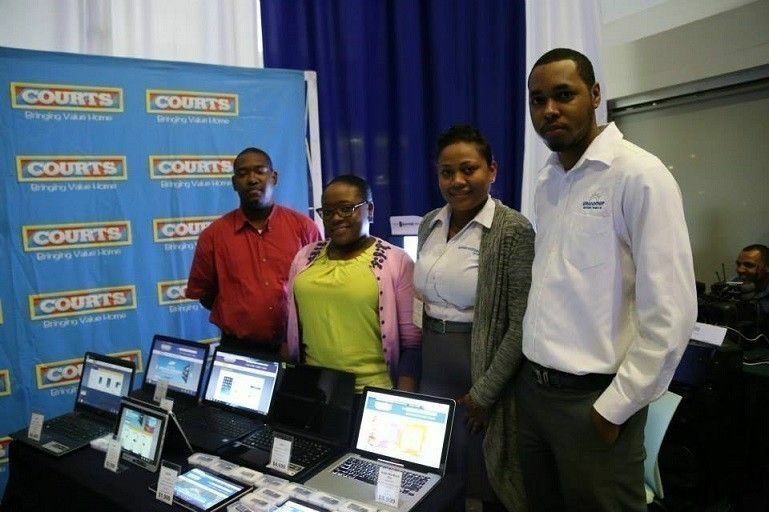 Courts Megastore has always been a beacon for Unicomer (Trinidad) Ltd. 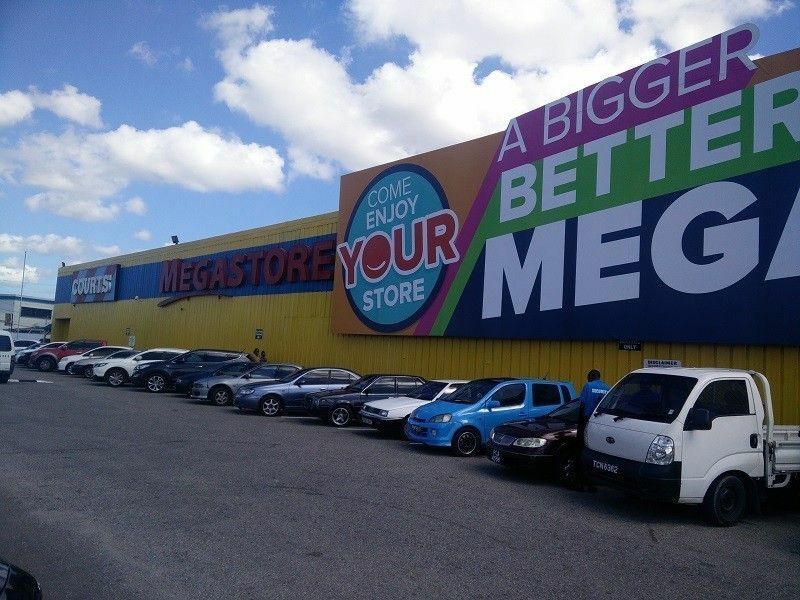 When you think Courts our massive Megastore pops into mind; that’s because it’s also the largest Courts store in the Caribbean. That translates to being the largest store in ninety (90) stores in eleven territories. We’ve taken this already monumental store and made it even better. We’ve created a BIGGER, BETTER Mega. The Original Megastore was opened in 1993 on September 17th. The first of its kind, it was opened with a showroom size of 30,000 sq. ft. It housed many different businesses on the compound making it the go-to hub for everything. We have served millions of customers throughout the years and have had many loyal customers acknowledge us as their sole provider for all of their home needs. Our values have always stayed the same over the years; to be friendly, helpful and knowledgeable in all our products and provide easy and convenient shopping. We pride ourselves in our technical staff who continue to work to provide superior After Sales Service, whenever the need arises. 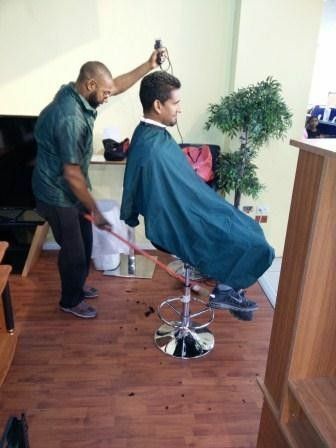 These promises are a part of what make us the leading Caribbean retailer. To build on these promises we’ve improved our Megastore with one goal in mind to BETTER SERVE YOU! With awesome upgrades and continued partnership with the most recognized international brands, we open our doors to you to experience the new BIGGER, BETTER MEGA. 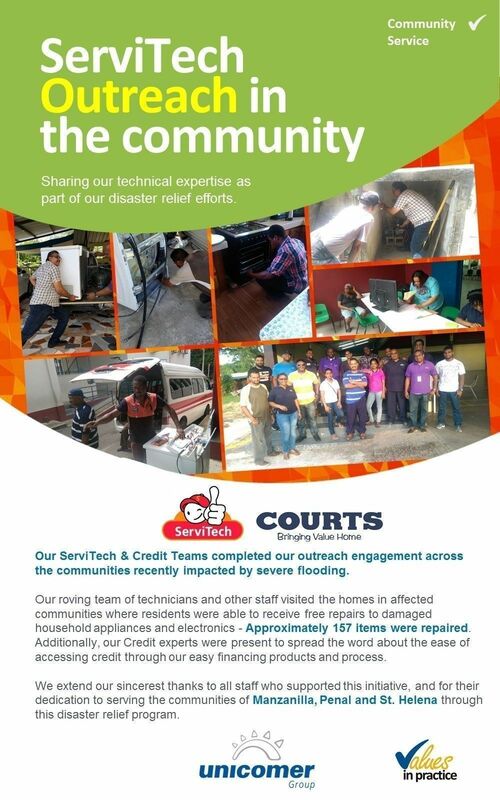 We now house our very own service technician department –SERVITECH and our Courts Optical branch, making us better equipped to cater to all of your needs, all in one place! Visit us in store today to see for yourself that we are definitely Bringing Value Home. 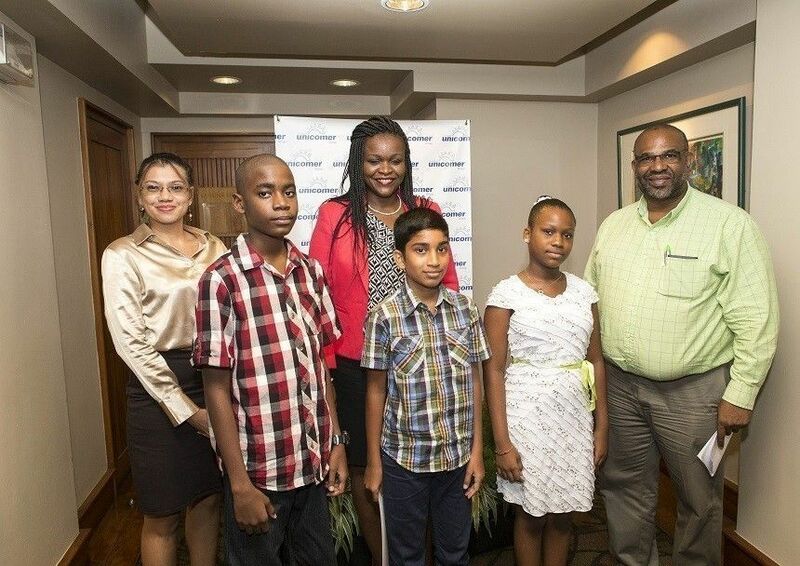 UNICOMER (Trinidad) Limited recently honoured the children of employees who excelled in this year’s Secondary Entrance Examination (SEA). 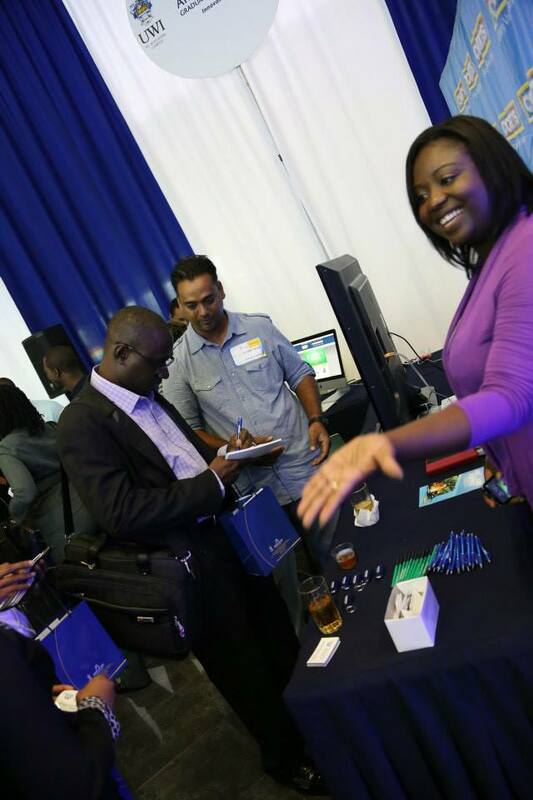 This event was held on Tuesday 18th August, 2015 at the Kapok Hotel. Twenty students were presented with certificates and tokens for their outstanding achievements. 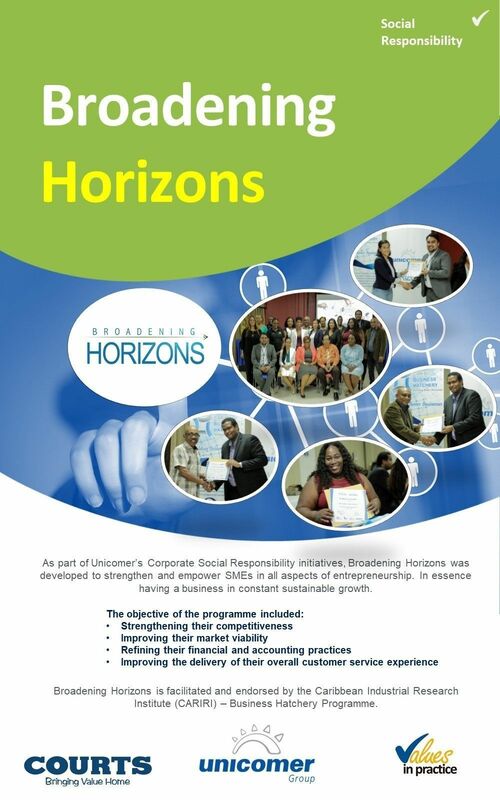 The audience was addressed by our Executive Team comprising of Ms. Stacy Homer – Director of Human Capital and Mr. Errol Le Blanc – Managing Director. This year’s guest speaker was Ms. Helen Cumberbatch – Director of Enrolment Management at College of Science, Technology & Applied Arts of Trinidad and Tobago (COSTAAT). Topping off this year’s awards was Miss Shayla Joseph who was accepted into St Joseph Convent, St Joseph; Mr Kyle Evelyn accepted into St. Stephen’s College and Mr Nathaniel Maxwell who will be attending Fatima College. UNICOMER congratulates and wishes all the students the best as they embark on this new phase of their educational journey. 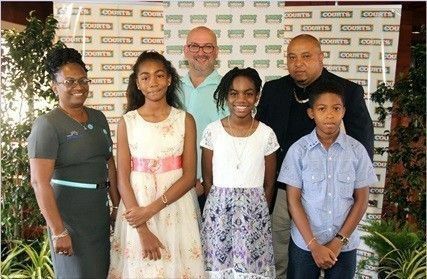 In photo L to R : Ms. Stacy Homer – Director Human Capital; Mr. Nathaniel Maxwell; Ms. Helen Cumberbatch – Director of Enrolment Management, COSTAATT and Guest Speaker; Mr. Kyle Evelyn; Miss Shayla Joseph; Mr. Errol Le Blanc – Managing Director, UNICOMER (Trinidad) Limited In photo L to R : Mr. Errol Le Blanc – Managing Director, UNICOMER (Trinidad) Limited; Miss Shyala Joseph; at the Podium Ms Charlene Glasgow- Regional Manager, Lucky Dollar – Trinidad Group shot with all students, UNICOMER Executives and Guest Speaker – Ms Helen Cumberbatch. Courts & the Association of Real Estate Agents of Trinidad & Tobago have entered into an exclusive partnership to reward New Home Owners & Renters. Launched on June 1st, this programme provides special benefits to Courts’ customers on their purchase of Furniture, Appliances & Electronics, who complete their home purchase or rental transaction through members of AREA. 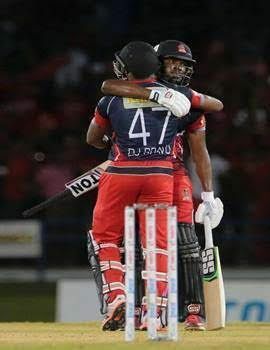 The Caribbean Premier League (CPL) T20 has again partnered with Courts Trinidad Limited as a proud sponsor.This year Courts Megastore located in San Juan is a redemption center for the CPL tickets. 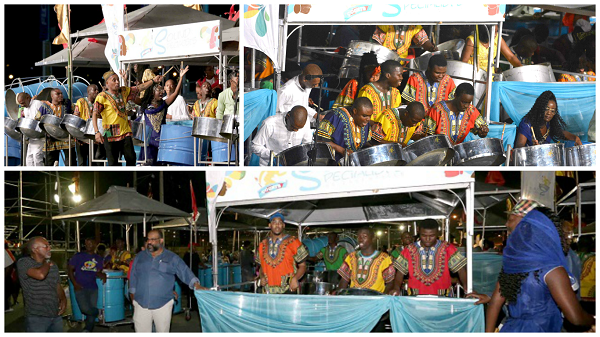 The cricket world is buzzing with excitement as we get ready for the final 3 days left for the CPL T20 matches. From the six(6) teams that entered this tournament, the Trinidad and Tobago Red Steel, the Barbados Tridents, the Guyana Amazon Warriors and the Jamaica Tallawahs are the top four(4) teams advancing and vying to be the champions for this year CPL T20 games. Who is going to be victorious? That’s the question on everyone’s minds! Each team has played tremendously and has displayed their aggression to be victorious so it’s all a matter of wait and see. 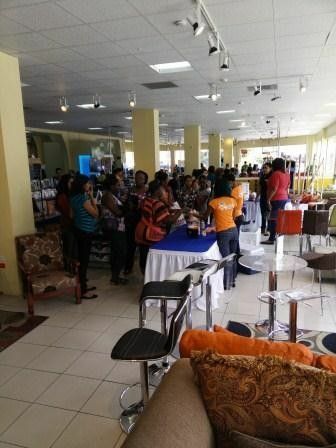 Dad's everywhere were treated to many treats at the It's Dad's World Event held at Courts Megastore, Chaguanas Furniture & Electrical, San Fernando, Piggott Street & Lowlands. 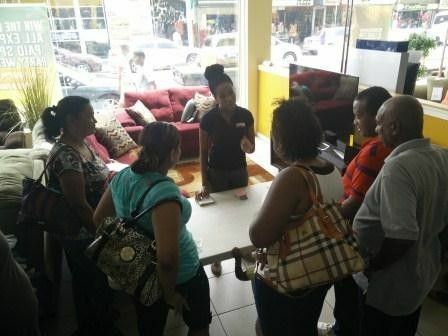 On March 23 and 24, 2015, Courts held its in store Brother Sewing Academy demonstrations at Courts Chaguanas Electrical, San Fernando and Megastore. Members of the public, as well as staff, benefitted from the on-site Brother representative who demonstrated the basics and gave participants a chance for some hands-on experience in using various models of the sewing machines. Trudy Blackman-Moore (centre), Public Relations Officer presents prizes to Courts' Love Is In The Air, Valentines Promotion Winners. Left - Deneille Holder, Right - Lalita Siew. Not in picture - Donna Piango. Courts Trinidad recently held its Love Is In The Air Promotion from February 09th -14th, 2015 whereby customers purchasing items priced at $999.00 and over had a chance to win Dinner for two at Chaud Restaurant. Special thanks to all who participated in this promotion and congrats to our winners. Courts Pan Posse on The Greens 2015. Our 1st year on the Greens for Pan Semis...Good Food, Great Music, Best Company! 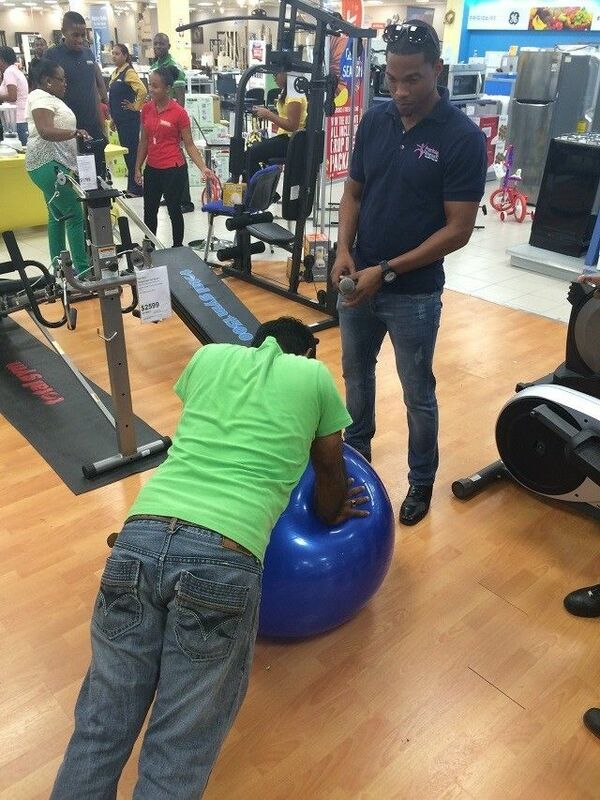 The first of two Fitness Events was held at Courts Megastore on Saturday 17th January, 2015. Trainers from Precision Fitness were on hand to demonstrate proper use of our exclusive line of GoFit ® products encouraging customers to stay fit at home. They also challenged participants to a number of fun Fitness Challenges to test strength and endurance. 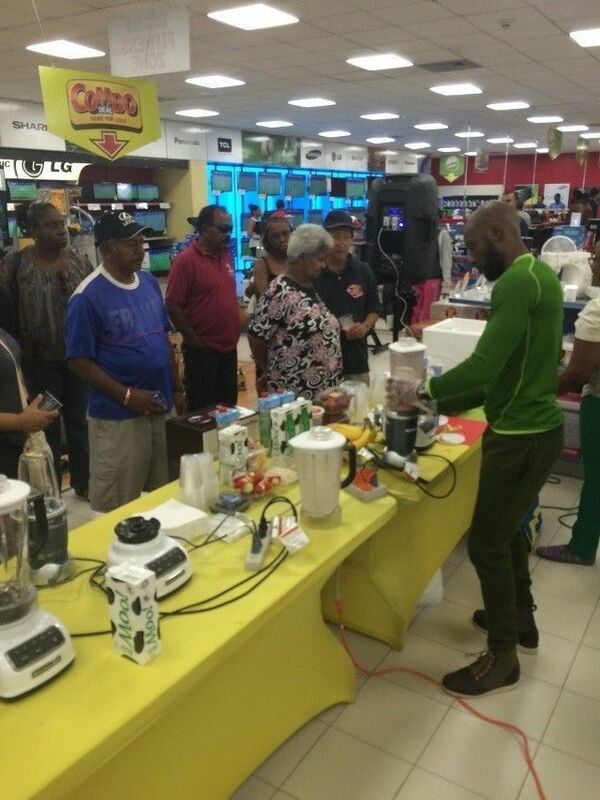 Derron Roberts of Anatomie Fitness conducted interactive sessions teaching customers how to prepare nutritious shakes using the Nutribullet & KitchenAid 5 Speed Blender. Sessions were quite informative as he provided insight on the nutritional benefits of various ingredients and even debunked some common myths. Customers had an enjoyable day and expressed with enthusiasm their anticipation of the upcoming Mega Fitness Burn on Saturday 31st January, 2015. This happy winner of our Fitness Challenge can continue exercising at home with his prize – a GoFit 15lb Kettle Bell. David Warner of Precision Fitness supervises a brave customer as he takes up the infamous Planking Challenge using our GoFIt Stability Ball. Customers look on intently as Derron Roberts of Anatomie Fitness whips up one of his many nutritious but tasty shakes using the KitchenAid 5 Speed Blender. 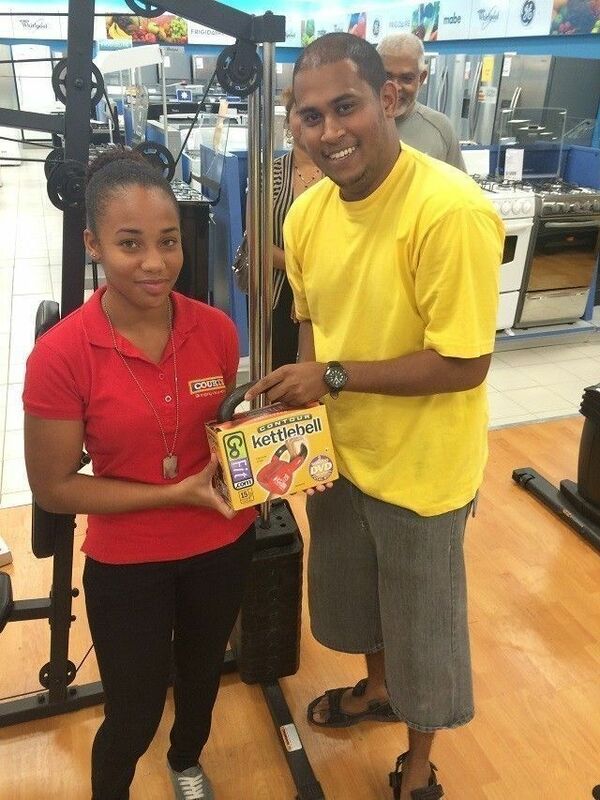 Representatives from HADCO distribute free samples of Yoplait Greek Yogurt & Vita Coco Coconut Water. 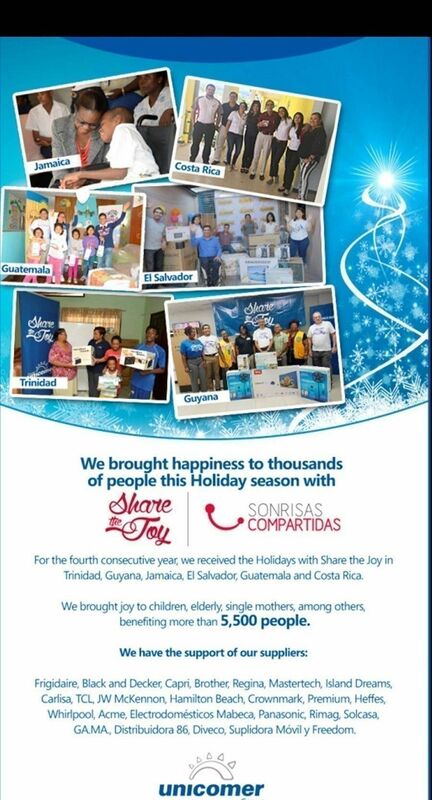 For the Month of December, Courts had the “Share The Joy” programme.